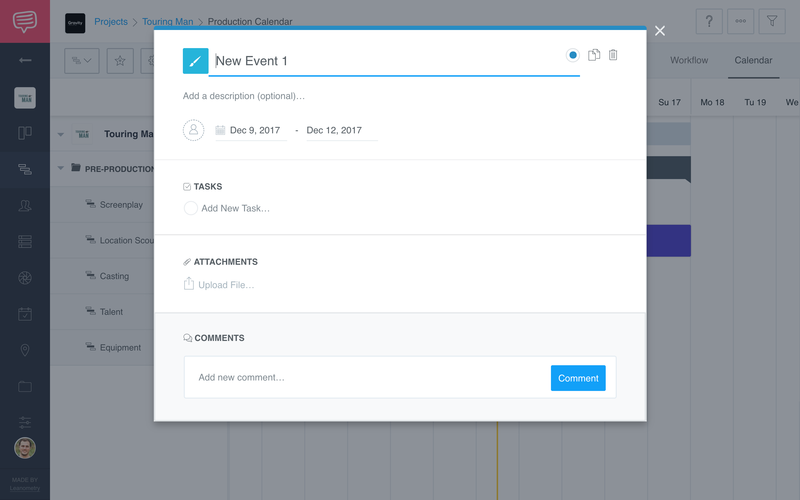 To create a New Event simply Click & Drag your cursor across the calendar. Populate your event Task Card with any necessary details. When you're done, just click away from the card to save it. How do you add a shooting schedule to the calendar? 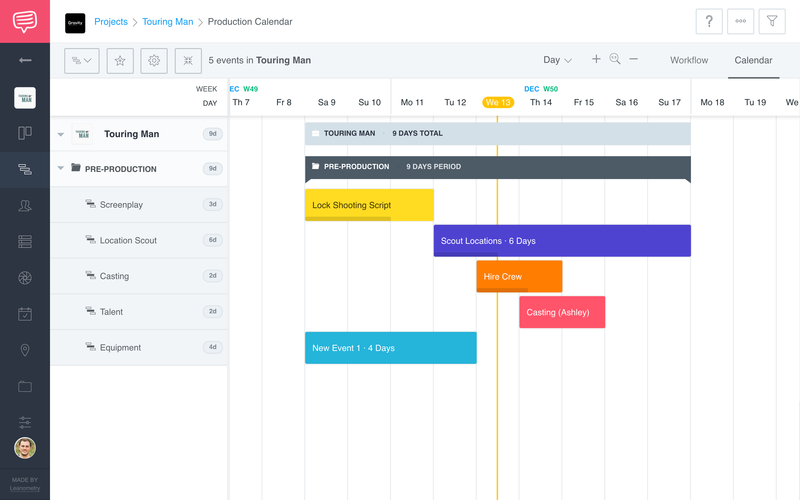 Currently, there is no way for you to sync your shooting schedule with the Calendar. Is there a limited number of Events I can add to a Calendar? You must be subscribed to the Professional plan to unlock complete access to unlimited Calendar Events.